It’s really hard not to beat myself up when somehow I woke up with 20 of the 30+ lbs I lost, BACK. 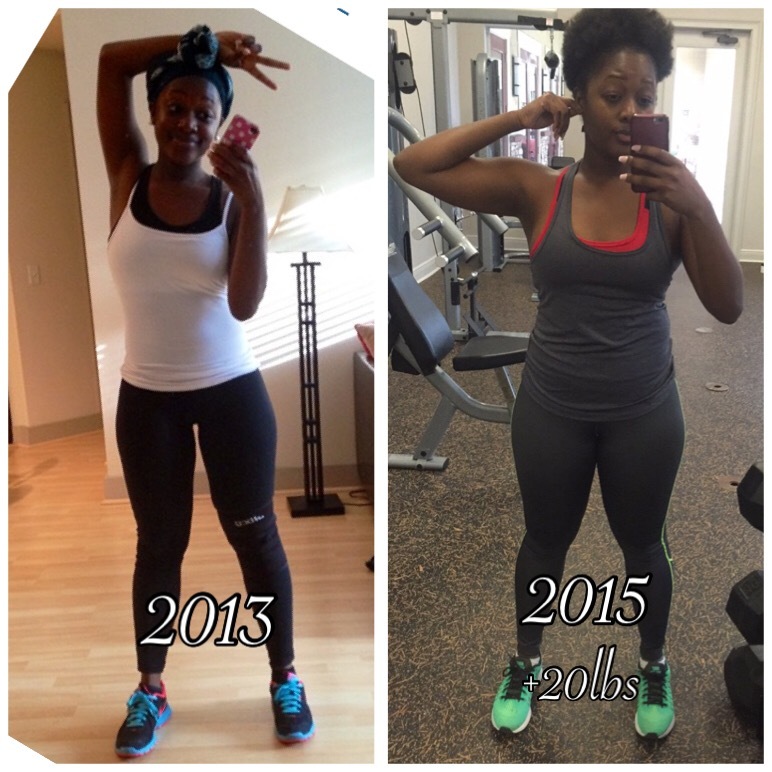 Somewhere between now and 2013…I gained some weight back. There were a few life factors that more than likely contributed to this…like, the emotional eating that I did last year after the loss of my Aunt & Grandma (January 26 & 30, 2014). The ups and downs of my mom’s health. The regular day to day things I go through. Work schedules. Vacations. Relationship issues. Anxiety. All of it. These life events are not excuses. But, they are realities. They are things we all deal with along our journeys. It’s like, all of a sudden life starts throwing more things at us than we can catch, and we just have to deal. How do I deal? I eat. I eat to sulk and I eat to celebrate. I eat to smother the reality of what is actually bothering me. And sometimes I just eat because I’m bored. I found myself eating JUST because I was engaged, and wanted to celebrate the fact over and over again. I dabbled into old habits that I had gotten so far away from. The good thing is…I did not get too out of control with my eating. But, way more than I should have, cause I know better. I did not revert all the way back to my old ways, but I’ve definitely been walking on the thin line. Chilling over here in the fitness grey area. You know, the space between, “know better” and “do better.” I’ve slacked on consistency with workouts and I’ve slacked on meal prepping. I’ve just overall slacked. And that explains the 20 lbs I woke up with. Anyway, this is not a time to feel sorry for myself. I’m actually glad to be sharing this with you, because I want everyone to know that this is a journey. You can never arrive to your optimal health and just stay there without consistent efforts on your part. Discipline. I have to be disciplined. Discipline is when you do something even if you don’t want to. And just like a lot of you who come to me for fitness advice, I sometimes lack discipline. It said if we focus on the things we want more of, the things we want less of will naturally follow. I loved that. It put into perspective my approach for the unknown New Year. If I spend my time being MORE disciplined and productive, then I will spend less time feeding my fears and insecurities with things that won’t grow me. So, yes, I’ve gained 20lbs. But, I will lose it. And while I lose that, I will gain a new victory and another paragraph to add to my testimony. And I will remember that I’m not where I once started. Just remember when you fall off, don’t stay there. Fall down and get back up. It’s 4Life… Let’s keep it moving.